The mega-popularity of Suzanne Collins’ Hunger Games trilogy has proven that young-adult readers have a taste for grim tales of post-apocalyptic survival. 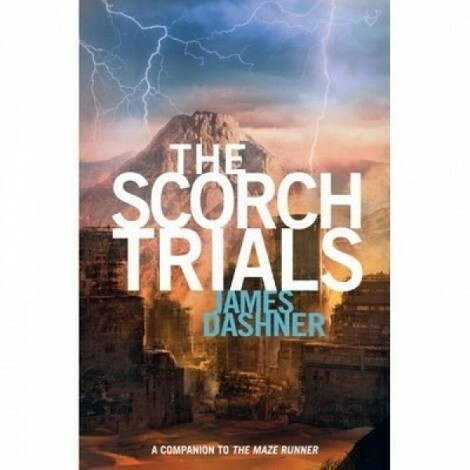 Utah author James Dashner introduced his own spin on that setting with 2009’s The Maze Runner and now follows it up with its sequel The Scorch Trials. Thomas and many of his fellow amnesiac “Gladers” may have survived their ordeal in a mysterious maze, but the dangers that await them are just beginning. First, Thomas is separated from Theresa, his psychic counterpart. Then, a mysterious man informs Thomas and his friends that they must travel hundreds of miles across a devastated landscape—and that not only does their own survival from an insanity-causing virus depend on it, but the future of all humanity, as well. Dashner may concoct his own unique variations on vulgarities in his young characters’ speech, but otherwise he doesn’t soften up a tension-packed thriller of pure survival. Join the author for a special book-release event.